Medical - sterilising and cleaning | Pharmaceutical | Catering - commercial kitchens (restaurants and hotels etc.) | Leisure - swimming pools and spa's | Nursing Homes - kitchens and cleaning | Food Processing plants - food preparation. Valves and parts for all brands. 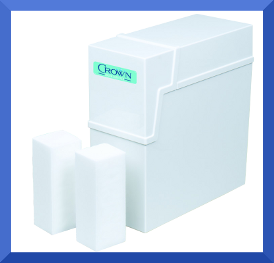 Commercial / Industrial water softeners are used to remove the hardness from the water. The hardness of water is determined by the amount of Calcium and Magnesium dissolved in water. The more Calcium and magnesium the water contains the harder it is. 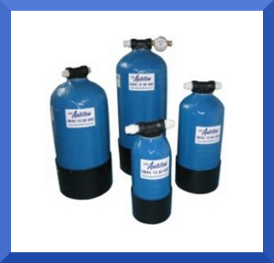 The total water hardness is divided into temporary hardness and permanent hardness. Particularly the temporary hardness causes problems and leads to scale formation, mainly as a result of water temperature changes. The lime scale that is released in the form of small crystals causing many problems and great expense in maintenance. Limescale is a persistent problem in Boilers, Humidifiers, Dishwashers, Washing Machines, Reverse Osmosis systems, Thermostats and many more items. Limescale reduces the efficiency of Cleaning chemicals, affects the heating of water and slows the operation of equipment such as RO plants. 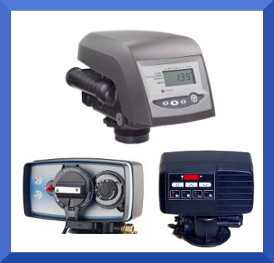 For over 20 years GM Autoflow have sourced, built and supplied industrial and commercial water softeners to customers worldwide, offering you some of the most state of the art equipment from a wide range of manufacturers such as Fleck, Autotrol and many more, tailored to suit your needs. 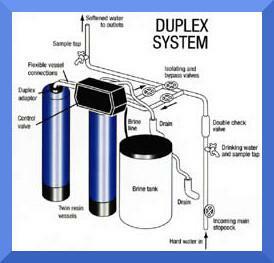 GM Autoflow can supply numerous types of industrial water softeners in either "Simplex", "Duplex","Triplex" or even "Quad" systems. 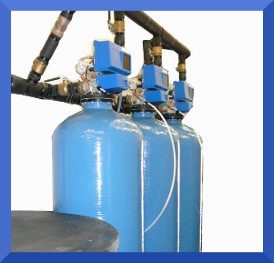 We design and build these large water softeners using the tried and tested manufacturers, either "Fleck" or "GE Osmonics", although we can supply others if the system requires something different. 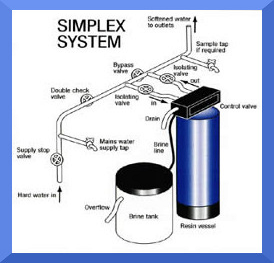 GM Autoflow specialise in design and supply of the correct softening equipment for your requirement, from a water softener for commercial glass washers to a duplex water softener for a leisure centres or hotel, with our expertise you will be guided to the right solution. If you can't see what you require or need advice call our team on 0845 10 80 680.